Justin Bieber is not a fan of awards shows because he feels they are fake. 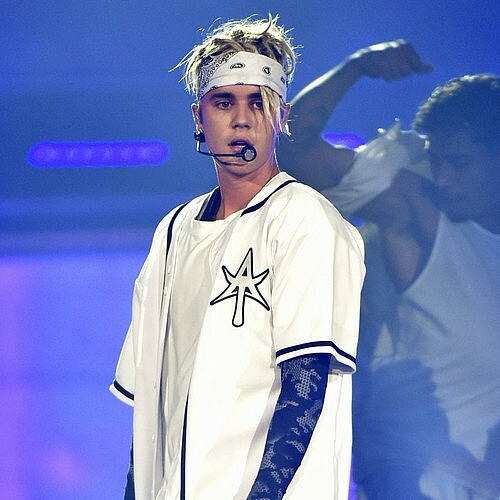 The Baby star performed Company and Sorry at the Billboard Music Awards on Sunday (22May16), and although he is grateful for his fans' support, he has mixed feelings about prizegivings in general - because he feels judged. The 22-year-old prefers show appearances over honours and acceptance speeches, because then there is a real reason behind him being there. "I don't know about these award shows," he writes on Instagram.com. "No disrespect to anybody at any of the shows or the people running it. Nothing but love for you guys and your support. "But I don't feel good when I'm there nor after. I try to think of it as a celebration but can't help feeling like people are rating and grading my performance. A lot of people in the audience there to be seem worried about how much camera time they will get or who they can network with. "When I'm doing a regular show I feel they are there for the right reasons and to strictly have a good time! But these award shows seem so hollow. I get the premise is to award people for their accomplishments, but is it really? Because when I look in the audience I see a bunch of fake smiles, so that when the camera hits them they look happy. Sure there are people truly proud of others so I don't want to knock them I'm just looking at the vast majority." Justin explains he doesn't need awards for any kind of validation and he wants the focus to be on his music. "I just think to myself if I'm living my purpose I want the reward to be fulfillment," he continues. "I'm getting awarded for the things that I'm doing and not for who I am... I am privileged and honored to be recognized by my peers but in these settings I can't feel the recognition. There's an authenticity missing that I crave!"